On Thursday, March 28, 2019, brokers, architects, contractors, and developers gathered for NAIOP Arizona’s annual Best of NAIOP to recognize the best in local commercial real estate. 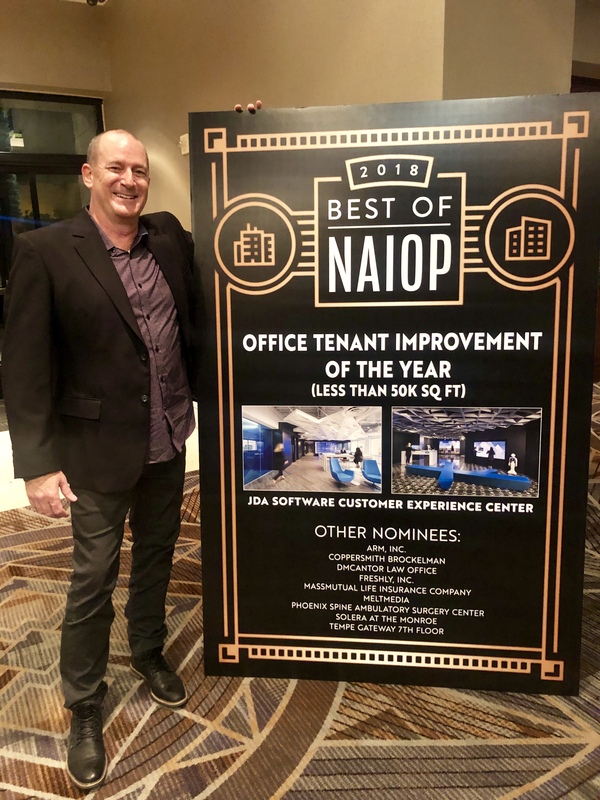 JDA Software’s Customer Experience Center was honored with the Tenant Improvement Project of the Year award. Project architect was Corgan, and Jokake project team included Senior Project Manager Glenn Frey, Superintendent Carl Politico, and Contract Administrator Kelli Tooke. JDA’s first Customer Experience Center, dubbed “JXC,” injects technology into every opportunity of the 13,000-square-foot space—developing a program and design that overhauls the traditional showroom with large touchscreen displays, interchangeable wall panels, clear acrylic floor tiles with reactive sensor lighting, and flexible furniture. A roaming robot navigates through the high-tech interactive digital playground while inviting guests and employees into a fully immersive environment. Also included is a beverage bar, a catering kitchen, and a variety of work options from lounges and huddle rooms to phone booths and a large 30-person board room that elevates the functionality of the space. 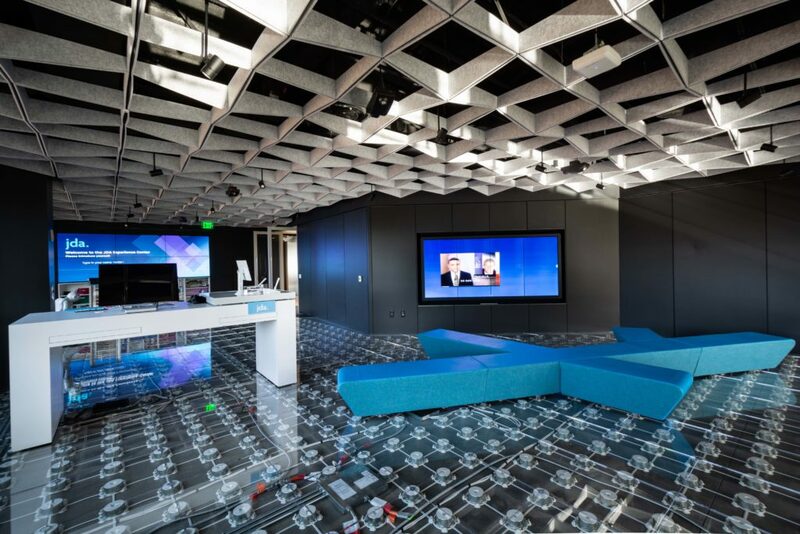 Two-thirds of the space is devoted to the experience center which is used by employees nationally to showcase brand partners and JDA technologies. Prioritizing a hyperflexible space, JXC achieves a nimbleness to best demonstrate, test, and explore their products for each client. A demountable and interchangeable wall system, DIRTT, for instance, seamlessly integrates technology directly into the modular panels while allowing for quick changes that keep the technology centerstage—a convenience and responsiveness amplified by the flexible furniture, adjustable shades, and mobile lighting features.